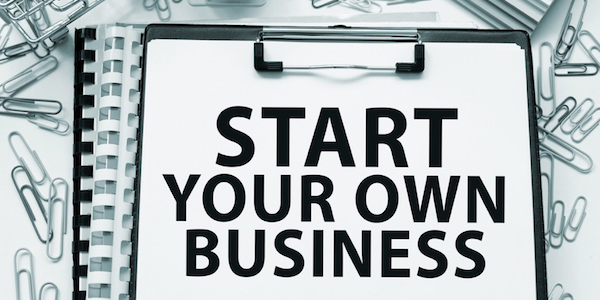 If you’d like to take the stress out of starting your own business, continue reading to discover a simple yet effective guide to starting your own business. Your first step in founding your own business should be to brainstorm unique ideas for a business which you believe will be profitable. Once you’ve whittled down your initial list of ideas to 2-3 ideas, it’s well worth conducting a bit of market research to see whether or not there is a viable market for your business ideas. Before choosing which business idea you think will be the most lucrative. You have two options when it comes to forming a new business, you can create a business which creates innovative new products or services which don’t already exist. Or you can choose to create a business that produces services or products similar to another company but that are superior to your competition’s products or services. If you choose the latter option just make sure that your competition doesn’t have any patents on their products or services which would prohibit your new business from producing similar products or services before you commit to spending money on your new business idea. Even if you plan on running a sole proprietorship it’s still well worth reaching out to individuals who may be able to help your business succeed. As an example, if you know of an expert marketer, it’s well worth calling them to discuss potential marketing plans for your new business. Or if you have a family friend who has successfully launched their own business and who you believe may be open to giving you advice on your business plan, it may be a wise idea to give them a call to set up an informal meeting. Alternatively, if your business requires an experienced management team and there are individuals you know of who you believe may make the perfect employees for your new business, it’s also well worth calling them to determine their interest levels in working for your business. As you may want to consider headhunting some of these individuals for permanent positions with your new business. In order to increase your business’ chances of succeeding, it’s also well worth putting together a detailed business plan, which will outline all of your business likely expenses. Examples of which include rent or a mortgage if you intend for your business to have physical premises as well as production costs, employment costs and marketing costs. As the last thing you want as a new business owner is to find that you haven’t budgeted for expenses which may cost your business tens of thousands of dollars. As in the early months of your business, it’s important that your business has a healthy cash flow. In the first six months, you should expect to spend most of your free time setting up your business for long-term success. So if you’re still interested in starting your own business, it’s well worth keeping the four tips listed above in mind.